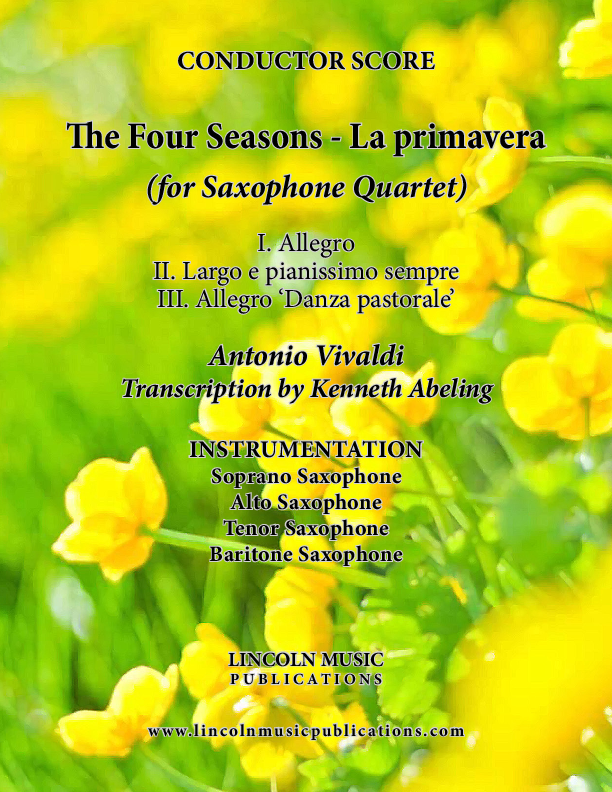 La Primavera, transcribed here for Saxophone Quartet, is one of Antonio Vivaldi's best-known composite works from The Four Seasons and is amongst the most popular pieces of the Baroque period. This transcription includes all three movements: 1. Allegro, 2. Largo e pianissimo sempre and 3. Allegro 'Danza pastorale'.